Feeding the planet sustainably is one of the world’s most pressing challenges. 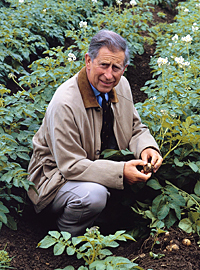 In his keynote speech at the Future of Food conference, HRH Prince Charles, The Prince of Wales, sounded the alarm for an earth on the brink of agricultural disaster. Soils are being depleted, demands for water growing ever more voracious, and the entire system is at the mercy of an increasingly fluctuating price of oil. Although the Prince seemed an unlikely messenger, he drew upon his nearly 30 years of organic farming experience and sustainable food advocacy, artfully revealing the true costs of industrial agriculture — from soil degradation to water contamination — while raising hope for a future that is more ecologically viable. Environmentalist and author Laurie David was in the audience that day. She immediately connected with the Prince’s message and, recognizing an opportunity to make a greater case — to a wider audience — for more sustainable food systems, David teamed with Rodale Books and GRACE Communications Foundation, a co-sponsor of the event, to create a printed publication of the speech. GRACE also created this site as a place where people can learn more about the issues raised in the book, and what we can individually and collectively do to create positive change. The book contains a foreword by Wendell Berry and an afterword by Will Allen and Eric Schlosser, all preeminent voices in the sustainable food movement. 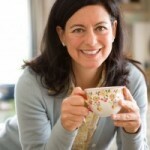 Laurie David is the author of The Family Dinner, a cookbook and guide to the most important hour of the day. Laurie is also known as the producer of the Academy Award winning An Inconvenient Truth, the game-changing documentary she persuaded Al Gore to make after seeing his Keynote slide show on the perils of climate change. Learn more at www.thefamilydinnerbook.com. GRACE Communications Foundation builds partnerships and develops innovative media strategies that increase public awareness of the relationships among food, water and energy systems. By mobilizing philanthropic resources and collaborating with like-minded non-profits and academic institutions, GRACE educates consumers and advocates for policies that address the environmental and public health effects of industrial food systems and support the development of sustainable food distribution networks. Learn more at www.gracelinks.org. Rodale is a global media company with a heritage, mission, and authority dedicated to the health and wellness of the individual, community, and planet. Through a broad portfolio of leading media properties, Rodale reaches more than 70 million people around the world through multiple distribution channels, including magazines, books, online, e-commerce, direct-to-consumer, and video. The company publishes some of the best-known health and wellness lifestyle magazines, including Men’s Health, Prevention, Women’s Health, Runner’s World, Bicycling, Running Times, and Organic Gardening, and is the largest independent book publisher in the United States, with a collection of bestselling titles including Al Gore’s Our Choice, Howard Schultz’s Onward, Alicia Silverstone’s The Kind Diet, Flat Belly Diet!, and the Eat This, Not That! series, among others. Rodale is also a leader in direct-response marketing and has more than 25 million active customers in its database. Learn more at www.rodaleinc.com.